In Oetz, the mountains lie at your doorstep. They are literally waiting to be climbed, step by step. The opportunities they offer are endless. 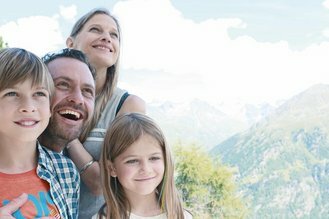 Our hotel for hikers in Oetztal is surrounded by a 1,600 kilometre long network of hiking trails. Nine lifts and gondolas take you to dizzy heights. 99 mountain huts and inns invite you to take a break and stay. 250 mountains exceeding a height of 3,000 metres provide a true paradise for summiteers. Challenging climbs, multi-day hikes and glacier ascents make the hearts of ambitious mountain enthusiasts leap for joy. If you would rather ease into your mountain adventure, you can also opt for one of our numerous walks and relaxing walking tours. 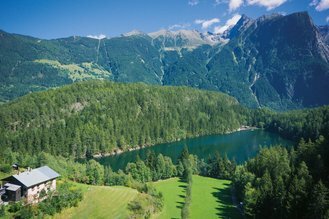 Enclosed by regal mountains and stunning natural beauty, our hiking hotel in the Oetztal is literally made for an active summer. Host Klaus Jäger, himself a passionate mountaineer, will gladly take you on one of his weekly guided hiking tours and lead you to his favourite spots in the region. 700 mountain tops. 250 mountains above 3,000 metres high. 1,600 kilometres of hiking trails. Millions of opportunities. 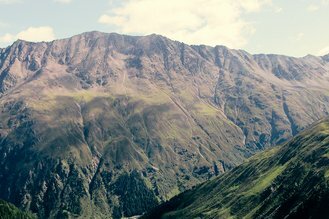 Explore the hiking paradise surrounding our hotel for hikers in the Oetztal. Get up and about for your mountain adventure! The view from your room in our hiking hotel in the Oetztal will certainly whet your appetite to explore our marvellous mountain world on foot. Situated at heights ranging from 800 to 3,000 metres above sea level, the mountaineering village of Oetz has been a popular holiday destination for hiking lovers for decades. The Acherkogel lift will take you to a height of over 2,000 metres in no time. From here, you can venture into the vast Hochoetz network of well-signposted hiking trails offering all levels of difficulty. The Miner’s Trail makes for a particularly special experience, taking you on a journey to the era of miners. If you want to go even higher, you can join a guided tour to climb one of the many mountain tops at over 3,000 metres above sea level. Our Oetztal hotel for hikers is also the ideal starting point to discover the Original Oetztal Path or the legendary Oetztal Trek.